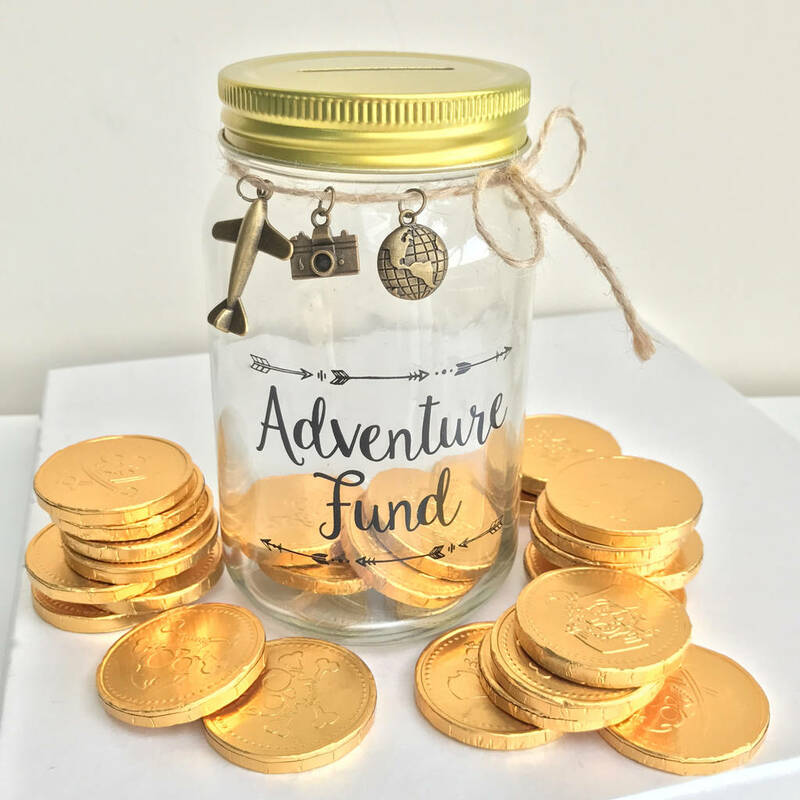 Adventure fund or follow your dreams money box with golden coins included! These money boxes include these fun golden coins so it would make a quirky gift for anyone! 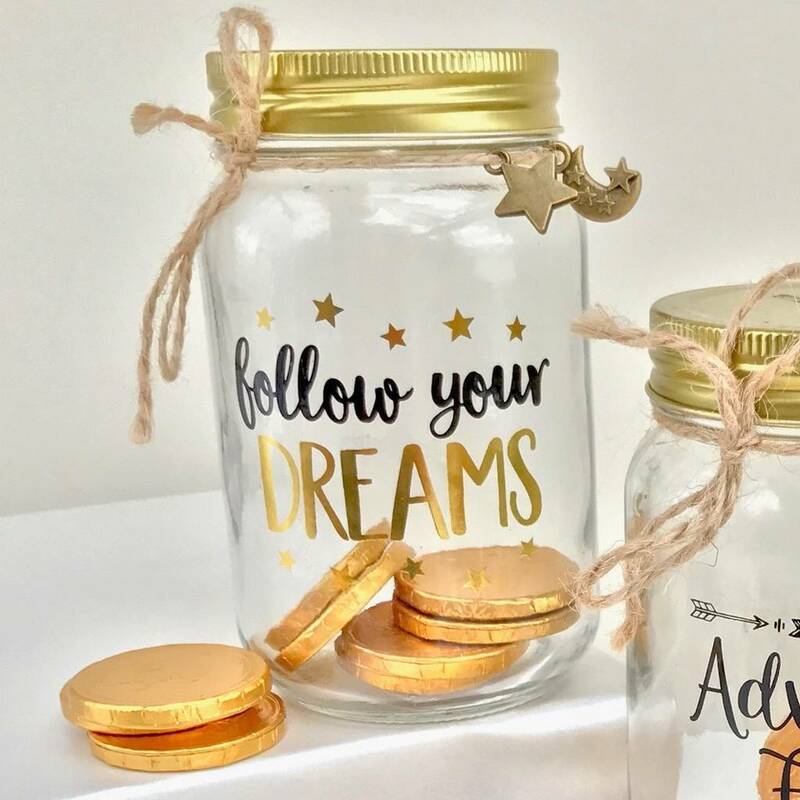 Great little detailed charms are added around the top and the jar, the money boxes have the wording on the side of the jar. 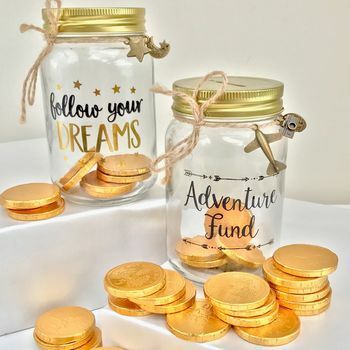 The jar contains 200 gramms of golden chocolate coins, as pictured these nearly fill the large jar!